“Canada's Northwind are currently ranked 9th for IC14 and could potentially finish higher depending how they fair against the stronger teams in their pool.” That was the introduction for the 2014 International Cup and it is unchanged for IC17 (Ed. in the WFN Rankings). “Canada has always been competitive against it’s Southern neighbour in the U.S.A. despite having half the number of players.” This comment from the previous preview also stands true with Canada only once beating the U.S.A. men in 2007 since the commencement of the 49th Parallel Cup tournament in 1999. However the results have been consistently close and this has been put down to Toronto having the largest organised football Australian League outside of Australia and the OAFL plays traditional 18-a-side as well. The level of local competition is widely seen as much more important than outright numbers. The success of the New Zealand All Blacks in rugby is testament to this with N.Z. at a significant numerical disadvantage to some other countries. Many would see the Northwind as an underachiever because of this localized advantage failing to materialize when it comes to the international football scene. With the recent widespread developments in Western Canada and Eastern Canada and with a new national approach to preparation it is time yet again for optimism and for AFL Canada to improve it’s position. In their previous cup finishes, Canada, whilst being competitive during group stages the Northwind failed to progress further, being ranked 9th (2002), 7th (2005), 6th (2008), 9th (2011), and 7th (2014) . The Northwind dropped to 8th ranking after the 2015 49th Parallel Cup and to 9th after impressive performances by Great Britain in Europe forcing GB upwards. AFL Canada took development squads to Britain and inter-provincial tournaments in lieu of the 49th parallel Cup in 2017 in preparation for I.C. 2017. One of the world's largest countries by area, Canada in many ways shares a lot in common with Australia. Both countries are a mixture of productive and sparse inhospitable lands and both have a relatively small population living around the their country’s extremities. Even climates are similar, being extreme in places if in opposite directions temperature-wise. Both countries have moved on from events of their original European colonization over indigenous populations. Both have strong friendship with the USA and are both heavily influenced by the U.S.A., but both countries would consider themselves more attuned to the modern Commonwealth in outlook. Australian Football produced it’s North American start in Canada in 1989 with the Mississauga Mustangs and Toronto Panthers, which led to the formation of the Canadian Australian Football Association (now called AFL Ontario) and to the development of a very strong league in the province of Ontario. Across on the West coast in Vancouver (British Columbia) football commenced in 2001, The Vancouver Cougars have been the main driving force in football development, splitting twice into separate senior clubs. A very successful junior program in the North Delta region has ultimately helped spawn the Burnaby Eagles AFC. Football has resumed on Victoria Island in the shape of the of the Sharks and Vernon is the latest football club addition to B.C. Alberta is well represented with clubs in Edmonton and Calgary extending into Banff., Quebec, Ottawa, Nova Scotia (Halifax and Cape Breton) and Newfoundland (St. Johns) also have clubs. 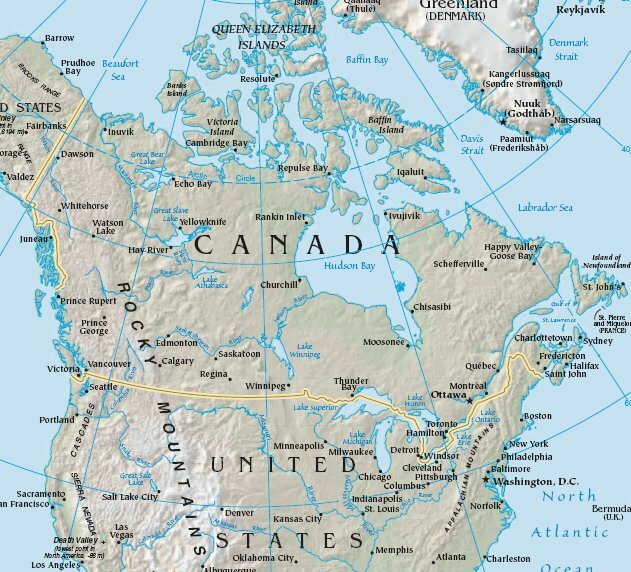 A look at the map of Canada shows a good representative spread. In 2011 Team Canada employed a new approach in preparation by developing and building a national squad. That squad was hampered by being centred around the strong Ontario league with the possible exclusion of those outside the OAFL. 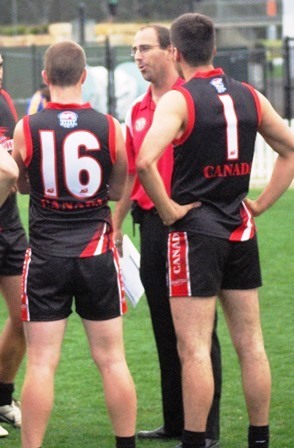 In 2016 AFL Canada took another quantum step forward by selecting a squad from the greatest pool of available players and by staging inter-provincial competition in both men’s and women’s football. Finally East meets West in Canadian football and that should overcome the previous weakness in the selection process. Apart from the very strong Ontario league other Canadian players have suffered from the lack of competition that comes from isolation. The Kelowna Cup, positioned halfway between Calgary and Vancouver was created primarily to facilitate more interaction between clubs of the neighbouring provinces of Aberta and B.C.. West coast teams even compete in the USAFL national tournament. The situation is slowly changing. The North West Pacific league is open to more clubs and Alberta has more teams. Even the East coast has three clubs with some competition. Canada and the U.S.A. mutually agreed not to play for the 49th Cup this year, instead preferring to look inwards for player selection. 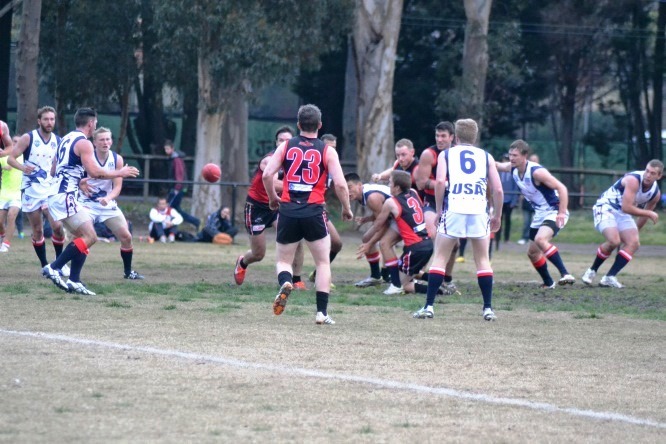 The USAFL ran a number of regional tournaments this year whilst AFL Canada ran an inaugural inter-provincial championship in 2016 and sent a development squad to a tournament in Britain as a substitute. In a late development the Northwind will be going into this year’s International Cup with a special edge. The coaching team will be joined by Carlton midfielder Dennis Armfield, whose 10 years’ AFL experience will be invaluable for the men’s national team. Armfield will also be training with Melbourne-based players in the lead up to the tournament. Northwind head coach Cody Royle said Armfield’s knowledge of the sport would be priceless for the players. Greg Bridges #47,will lace up for his boots for his Northwind debut when he lines up in the forward line this International Cup. Bridges has been playing footy for four years after he picked up the sport in Halifax after being introduced by a roommate. He began playing with the Swans when he returned home to Ottawa. Bridges says making the national team has been among his career highlights, along with winning a premiership and kicking his first goal. Alex Maloney #44, will be playing his second International Cup for the Northwind in August where he will look to tear up the midfield. Maloney has been playing footy for almost nine years which he picked up while living in Australia. "A good mate of mine at the time told me to come down one day and check it out, so I went down and picked up on it relatively fast," Maloney said. Ryan "Danger" McNabb #33,started playing footy eight years ago when Aussie X came to his school. Danger says his greatest footy experience so far has been the solid run for the flag he had with the Toronto Eagles in the unsuccessful 2015 Grand Final. Here is a list of full profiles for the Northwind. The Northwind are currently seeded 9th by the AFL. After slowly working their way up the rankings, Canada finds themselves back at their 2002 position. At first glance this might seem a little disheartening but the fall in rankings is mainly due to inevitable rise of the R.S.A. and the long overdue result of Great Britain getting their act together. Canada will again lift it’s standard and it’s quite possible that Canada will improve it’s position against other similarly improving teams. Who is Canada’s main opposition? Like the current AFL season this International Cup is easily the most wide-open ever. Let’s look at the teams ranked above Canada in the WFN Rankings. 2. PNG participation has received a large boost by schools programs but too early to have a large effect on senior football. However the PNG has prepared well from an early start. 3.New Zealand is still yet to see a significant boost from it’s schools programs and it does play out of season however the introduction of a very professional run national league must logically produce results. This will likely be their toughest opponent when they meet in Round 3 at the Waverley Blues ground. 4. Ireland is perennially strong due to it’s association with Gaelic Football however Irish numbers are slow to grow even with the constant flow of Irish recruits to the AFL. 5. Nauru, the most passionate Australian Football country in the world will again produce a highly skilled team and compete extremely well, however it’s tiny population of 10,000 doesn’t produce the “talls” to propel the team up the ladder. The final match for Canada before the finals will be against these hard nuts of the competition at Royal Park. 6. High participation numbers in the R.S.A. have matured into senior competitions the development of which has mirrored South Africa’s rise in rankings. News out of south Africa is scarce these days but at worst the R.S.A. would put a similar performance as in the past. 7. Great Britain have got their act together over the last decade and it’s producing results. Great Britain benefits from having numbers and a strong London competition. Indeed it consists of three countries – England, Scotland and Wales, as well as competing in Europe. Canada face GB in the second round of the tournament at St Francis Xavier college in Officer. 8.The nemesis of Canada, the USA. has again prepared well in a business-like manner bringing it’s diverse players together in regional tournaments. It’s going to be a close tussle. Canada will play the USA in Round 1. With a good mix of height, speed, grunt and experience it’s all about development and trying to progress in a highly competitive environment. A finish between 7th - 5th would be a good result, and a possible higher result would be a fantastic achievement and reward for effort. Neil Casey was a massive part of the North Wind competitiveness back in IC14. Very hard to replace. Good to see Nathan Strom back after IC14 World Team performance.